The friendliness of the staff and the location. We spent three nights here and then left for another location. When we returned the staff greeted us by our names! Cet établissement est décoré d'images typiques représentant le passé de la ville, qui se mêlent harmonieusement à son style moderne. Les chambres sont équipées d'une connexion Wi-Fi gratuite, d'une télévision par satellite à écran plat, d'un coffre-fort et d'un minibar. Le restaurant Blanc sert des produits locaux, qui proviennent tous d'un rayon de 100 km. 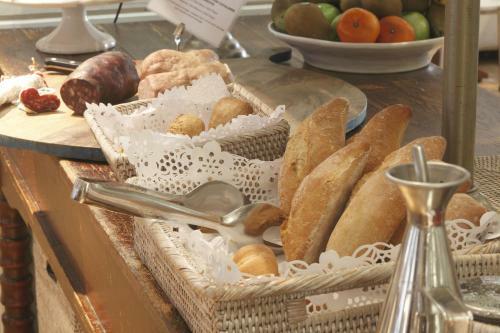 Il sert un petit-déjeuner buffet chaud et froid tous les matins. There was nothibng I disliked. I thought this was an excellent hotel in a perfect location. One note: one of our party left an expensive coat. The hotel did not get in touch with us to say that it had been found. We did return to the hotel - although this was unplanned - and the coat was safe in the "lost property" but I think we should have been emailed to say the item had been found. Very friendly and helpful Staff. Excellent location and Restaurant for breakfast and Evening meals very good and reasonably priced. The staff on reception were exceptional. Both friendly and welcoming and went out of there way to be helpful.. Very central, not far from a number of free parking places. Easy walk to old town and plenty of cafés and restaurants. A little difficult to find initially, but this is mainly a problem of the one way road networks of the city. Signposting was reasonable, not outstanding. 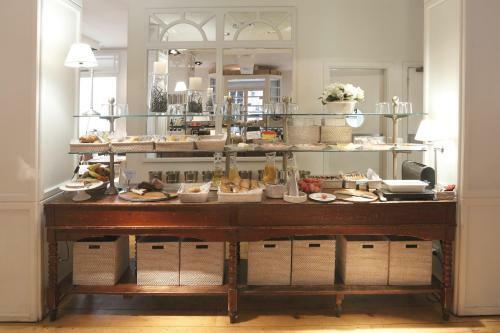 Super modern hotel in the old part of Girona,centrally placed, excellent breakfast and helpful staff. Good secure parking nearby. Nice and helpful staff. Very centrally located. 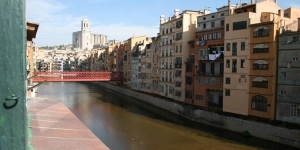 You can walk to all central Girona. 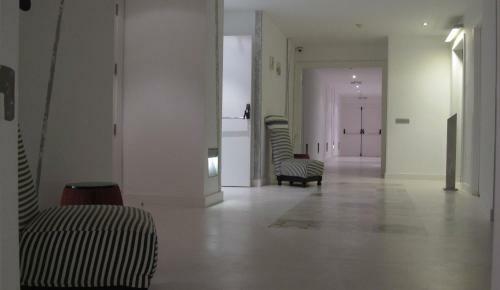 Very confortable rooms. Nice and not expensive hotel restaurant. Several public parkings nearby. Perfect location in a charming city. 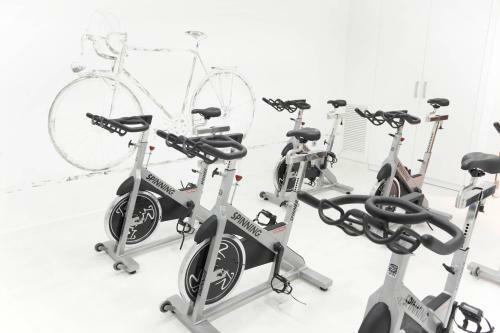 The spinning room is unique and provides a serious workout. Staff is very friendly. Have been here several times before and as we like it so much we always go back. The position is ideal, the rooms comfortable with tea and coffe making facilities and mini bar. 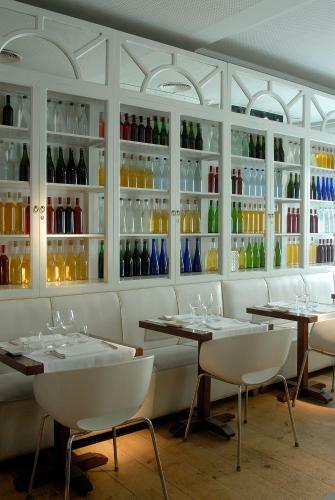 We also love the restaurant Blanc which you can go into from the hotel. Difficult to park (without paying) but by now we know where to park easier. Problem sleeping with noise from road in front. We were moved away from the road after first night and that was fine. Friendly and helpful staffs. Great location. Most comfortable mattress ever! Young,conscientious staff. Temperature in and out of swimming pool too low (November) Only decaff coffee in the room. Miquel at the front desk was very helpful and helped us a lot. It is a lovely location and the rooms are an okay size. Great location right in centre of town. Easy walk from station. Friendly and helpful staff especially the evening receptionist Miguel. difficulty in opening the door with the 'magic card'! 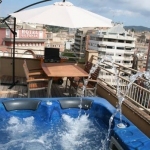 Hotel Cuitad de Girona is a clean comfortable three star hotel with many extra amenities and a friendly staff. It was in our top 3 of 9 hotels on our extensive European vacation. I would definitely recommend this hotel. It's nice when breakfast is included, which it wasn't in this hotel. Great bedroom with tea/coffee facilities and everything you might need provided in the bathroom. Beautiful breakfast! Lovely place to stay right in the heart of the old town. Would never stay anywhere else in Girona. Not my first time here. I always stay here while visiting Girona. Location is perfect and the staff are always very friendly and eager to please. 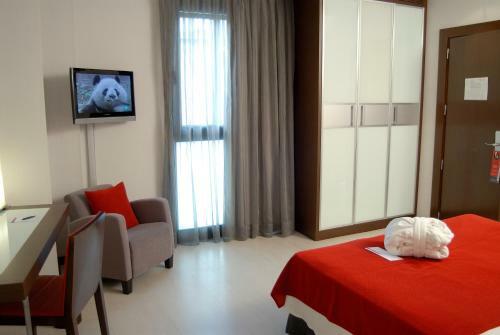 Rooms are very comfortable and you are well catered for in every aspect. Looking forward to my next visit. Horrendous price for parking which wasn't even local. Breakfast was very expensive for what it was. 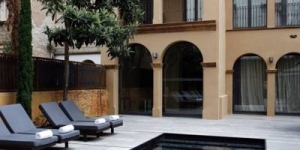 Lovely hotel in a fantastic location in the old town in Girona. Restaurant at the hotel was also beautiful. Lovely staff. Staff very helpful and location central. Room and bathroom though small had everything we needed, staff were very helpful, and location was fantastic. Breakfast was OK but not excellent - scrambled eggs dry, bacon a little undercooked, but not too bad - good choice. Hotel very well situated just over the bridge from the old city. 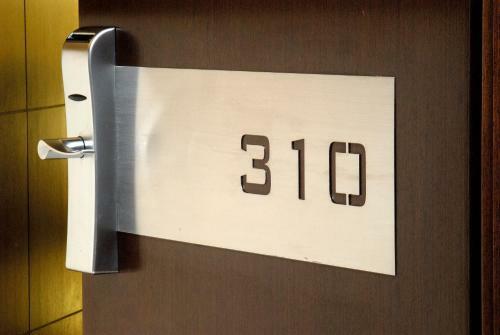 Comfortable room, good facilities and friendly staff. Great make-up/shaving mirror in bathroom. Breakfast was a bit pricey, but plenty of places to get coffee & croissant nearby. Central location - we wanted to visit the old town for my girlfriends birthday and could walk to everywhere we wanted to go. Staff- all the staff were fantastic and very helpful in locating places we wanted to visit. Room- first class, nice size and very comfortable. Overall a great place to stay and I have already recommended the hotel to friends should they wish to stay in Girona. Parking- I have a motorbike and with the local tax I think I ended up paying 22 euros for 1 night which for a motorbike is pretty expensive. Very clean & comfortable hotel with friendly, helpful staff. The hotel is really well located at the edge of the old town, close to lots of restaurants, bars etc. It's also only a short walk from the train station. Great location, good breakfast, nice room, good bed and really excellent shower! Location - unbeatable, staff - polite and professional, clean and pleasant place to stay. Parking is a bit expensive. The location of the hotel was perfect. Comfortable room and very quiet. A very minor point a few more English TV channels would have been nice. Excellent location, an easy stroll to all the Gothic areas and lots of restaurants. There are a lot of little details (dirty hallway carpeting, poorly installed laminate flooring, exposed moulding glue, etc.) that I didn't expect to see in a higher-end hotel. 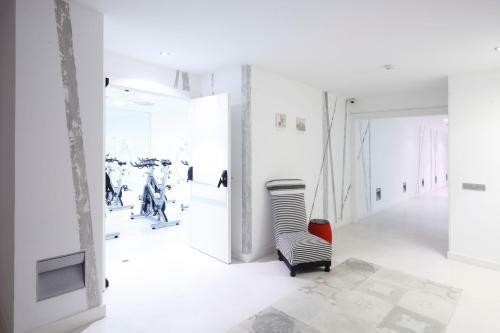 Fantastic location next to vibrant historic square.Modern clean design with lots of friendliness from staff. Did not have time to use spa facilities. Very comfortable, superb restaurant and friendly staff. Great location, staff, breakfast good. The hotel had everything we wanted for a night`s stay - excellent. Central location close to old city, modern , large & quiet room. Hard to find access if you come with a car - no information on hotel site in booking, expensive nearby parking. A great place. Well worth it. 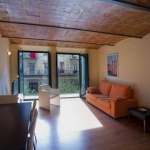 Location good close to historic center of Girona.Very helpful friendly staff. The hotel is located close to the old city. The are a number of cafeterias and restaurants nearby (as well as shops). The room we got was very spacious and clean. The swimming pool in the basement is a small one, but very clean and well-equiped. 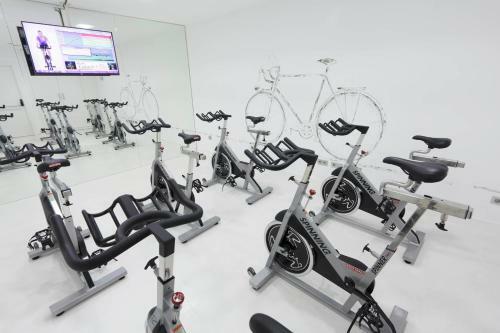 Also the spinning room. The breakfast was a very good one, and Espresso absolutely fantastic. Overall, we were quite satisfied with our stay at the Hotel. The windows of our room were close to the windows of the opposite building. It was quite noisy during the night. The staff could have been more effective (receptionist made an error during the check-out). 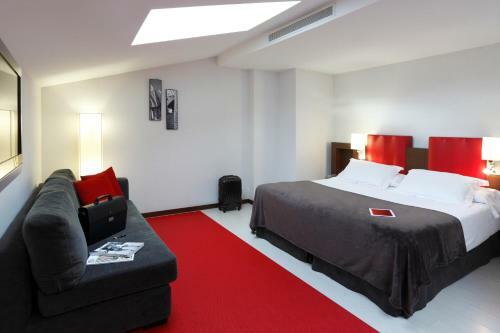 Perfect Location 5 mins from Old town & Rambla, room stylish, clean & modern, staff very helpful & friendly. The location was perfect, the hotel was spotlessly clean and the staff were very helpful. I can honestly say that there was nothing I didn't like. Parking at €22 per night, although you can park 5 minutes walk away for free! 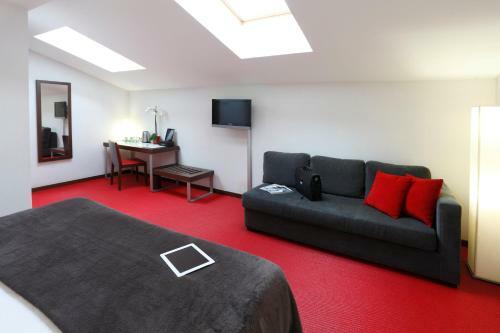 Great location, very nice modern, clean, comfortable hotel. While it did not bother me, there was a little noise from elevator so you may want to avoid rooms that are right beside lifts. The hotel was located within easy walking distance to the old city and there were plenty of cafes and shops nearby. Only a 15 minute walk to the railway station. The hotel room was very clean and comfortable. Excellent service, perfectly nice room, great location. The location was fabulous ,immediately across the bridges to the historic town, next to the main shopping street and 2 blocks to the famous independance square,for a multitude of restaurants and café/bars .We were told that there are areas where parking is always free and we had no problems finding these spots each day. Most impressive knowledgeable staff at the front desk, always available and friendly. LOVED it. Very charming, beautiful view of the cathedral, wonderful restaurant. Perfect situation - very relaxing atmosphere - best small hotel we have ever experienced, Just a fantastic hotel. The location of the hotel was excellent, staff were very friendly and room was really nice. Position very near the Old Town, but a modern hotel which was very comfortable. It was a little difficult to find - the Sat. Nav. was totally confused ! great location. excellent rooms and reasonable breakfast facilities. Almost everything! Staff and particularly Tamara on reception were very attentive and helpful. Our bedroom was next to the lift which was quite noisy so hard to sleep in the mornings. We were offered another room after the first night but we didn't want to go to the trouble of repacking. Staff was friendly and helpful. Location was excellent. Central location for old town and spotlessly clean, very relaxing overnight break. 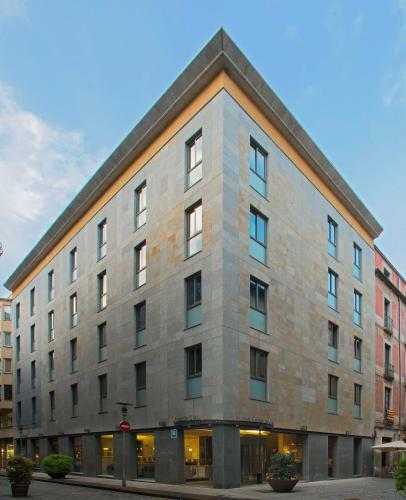 The hotel is in the middle of the city, giving you direct access to shopping, with the old town just a bridge away. 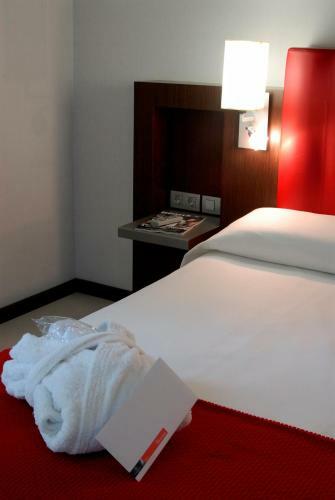 The rooms are clean and well furnished in a businesslike way. Getting to the hotel by car is difficult. It's easier to park nearby at Parking Eiximenis and walk the last bit. Friendly staff, great location and excellent breakfast.